What makes a cocktail a true, indisputable classic? That’s not an easy question, but as a rule of thumb, I’ve always thought it has to meet three criteria: it has to have some kind of history, it has to have achieved lasting popularity or fame, and it has to taste great—not just okay, but bewitching, delightful, irresistible, whatever superlative you’ve got. There are plenty of old cocktails that meet this last criterion but fail at one of the other two. The Aviation comes to mind—a wonderful old cocktail that was nonetheless deeply obscure until rediscovered by Paul Harrington in the late 1990s. Lovely drink, but lacking the personality that drinks such as the Manhattan or the Daiquiri picked up from rubbing elbows with so many characters over the years. Rarer, though, are the historic, famous drinks that don’t taste particularly good. If I could have named a leader for this sad tribe, until recently I would have nominated the El Presidente. First accurately described in a 1919 article in the New York Evening Telegram, this Cuban mixture of “bacardi [sic], granatin [also sic] and French vermouth” was apparently christened in honor of Mario García Menocal, president of that country from 1913 to 1921 and a man who didn’t mind throwing a lip over a cocktail. A broadly temperate people, the Cubans had only recently learned to appreciate the American mixed drink, but this one they liked. By the mid 1920s, the more discriminating among the massive influx of bibulous Yanquis that American Prohibition brought into the Queen City of the Caribbean had learned to like it too (well, all but Calvin Coolidge, who refused to partake when he was offered one at a Cuban state banquet in 1928). Before long, the Presidente was one of the most popular drinks in the U.S. as well, whether served illegally during Prohibition or legally after. Basil Woon, the wonderfully named society correspondent, deemed it the “aristocrat of cocktails,” and there were many who were of his opinion. I was never one of them. 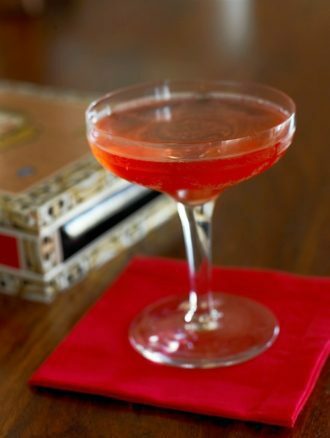 Ten years ago, when I first encountered the Presidente in an old Esquire cocktail book, I spent a lot of time on it. Yet no matter which of the many surviving old formulae I tried, I couldn’t get close to aristocrat—it was middle management at best. Made half white rum and half dry vermouth (which is what “French vermouth” almost always refers to), with a barspoon of grenadine, as most old recipes dictate, it was thin and awkward-tasting. Bumping up the rum and cutting back the vermouth didn’t help much, nor did replacing or supplementing the grenadine with a spoonful of orange Curaçao as many old recipes dictate. 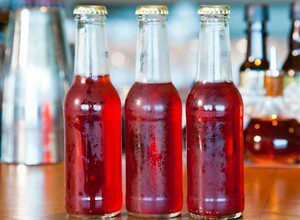 The more drastic, but common, fix of using a full half-ounce of Curaçao added body but hijacked the flavor and made the drink too sweet. Genuine, hand-imported Cuban rum didn’t even make much of a difference. Eventually, I gave up, figuring that the Presidente’s popularity was an artifact of time and place. But among the many lessons I’ve learned since is that drinks were generally popular for a reason, and if you can’t find that reason you’re probably doing something wrong. Armed with that insight, I recently took another look at El Presidente and immediately noticed something significant. Among the several Cuban recipes for the drink that exist from the 1920s and ’30s, the earliest one, from the 1924 Manuel del Cantinero by León Pujol and Oscar Muñiz, specifies precisely which type of French vermouth to use, a recommendation that is seconded by the 1928 Cuban bartenders’ association’s official manual and—even more importantly—by the great Constante Ribalaigua, head bartender at Havana’s famous Floridita. Their choice? Vermouth de Chambery. These days Dolin, the chief surviving brand of this regional style, comes in a dry, white style and a sweet, red one like pretty much every other vermouth. But Dolin also makes a “blanc” vermouth, one that’s white but only semi-dry—and, as a little research confirms, this is the style for which the southeastern French town of Chambery was historically known. A quick dash to the bar and Eureka! El Presidente, as it was meant to be. Rich and lightly sweet yet still refreshing, with layers of flavor that are fully integrated into a whole that’s greater than the sum of its parts. There’s your aristocrat. David Wondrich is widely hailed as one of the world’s foremost authorities on the history of the cocktail and one of the founders of the modern craft cocktail movement. The longtime Drinks Correspondent for Esquire magazine, Dr. Wondrich (he has a PhD in Comparative Literature) is a five-time Tales of the Cocktail Spirit Award winner. He is the author of countless newspaper and magazine articles and five books, including the hugely influential Imbibe!, which was the first cocktail book to win a James Beard award (2007; an expanded and thoroughly revised edition was published in April, 2015), and Punch, which came out in late 2010 to broad acclaim and did much to spark the current boom in punch-making.At present, he is immersed in the Oxford Companion to Spirits and Cocktails, a multi-year project. He is a founding partner in Beverage Alcohol Resource, America’s leading advanced training program for bartenders and other mixologists. He also is a frequent guest lecturer at venues such as the Smithsonian Institute, the American Museum of Natural History and top bars on five continents and ships at sea. He lives in Brooklyn, New York.